The OWL is ready to take flight. 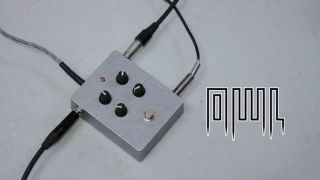 The OWL is an effects pedal with a difference - an open-source 'shell' that contains its own DSP and can be programmed to do pretty much whatever you want. Currently being launched via a Kickstarter campaign, The OWL contains an ARM Cortex M4 chip and can have new patches loaded into it over USB. These patches are created using the supplied C++ framework; if you don't want to (or can't) create your own you can choose from the growing number that have been programmed by others. You can find out more about The Owl - and back it should you so wish - on its Kickstarter page.